Can anyone stop the magnificent Marquez? The 2019 MotoGP season is just around the corner and the championship begins under the lights at the Qatar Grand Prix. 2018 taught us that Repsol Honda's Marc Marquez is becoming a very special rider after the Spaniard clinched a 5th world championship. It is an era where we are seeing some pure dominance that could one day at least match Valentino Rossi's record of 9 world titles. The new season will feature 19 races starting in Qatar before another championship wraps up in Valencia come November. So who can stop this incredible run from the champ that is Marquez? 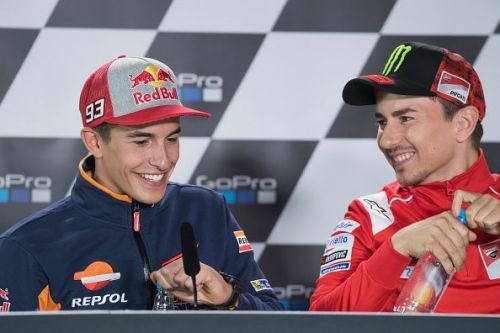 Just after the midway point of last season's championship, the big news broke of Jorge Lorenzo teaming up with Marc Marquez for the 2019 edition. The decision from the bosses at Repsol Honda may have left mixed concerns outside the garage. Having a team with two world champions could end terribly when both minds have the ambition of coming out on top in the entire group of world class riders. 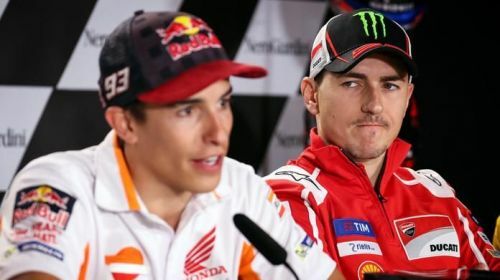 Lorenzo joined Repsol Honda from Ducati at the beginning of the year and it will be different times for Marquez as he has very much got used to Dani Pedrosa as a teammate since joining the series in 2013. There could be fireworks in the Repsol Honda garage this year if both drivers collide. Let's not forget the 2013 Spanish Grand Prix when both Lorenzo and Marquez were fighting for the second place on the last lap. Both collided, which resulted in Lorenzo going off the track before Marquez beat him to second while Pedrosa won the race. Marquez went to talk to Lorenzo after the race but he refused to talk to him. There was no forgiveness that day.